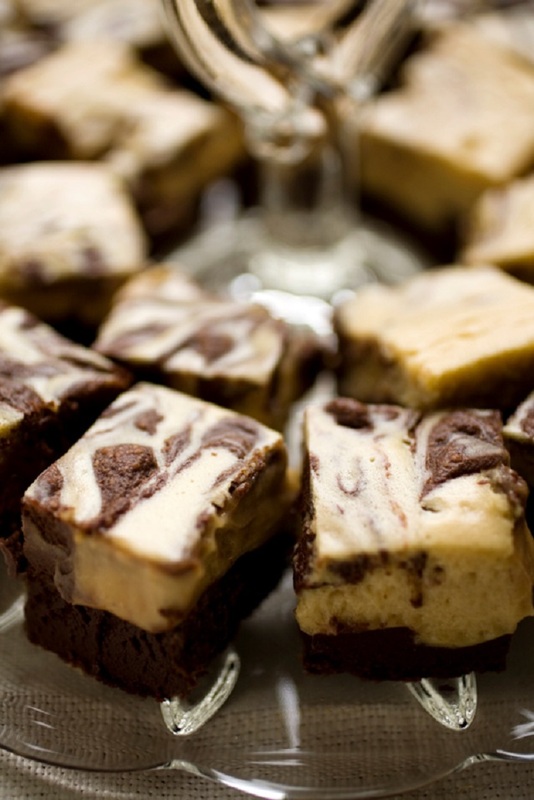 These delicious cream cheese marble brownies are a rich combination of gooey chocolate, coffee and cream cheese. They will prove a hit with friends and family alike, just make sure you make enough of them to go round! Dial up the intensity and enjoy with a cup of rich roast coffee - ideal for an after dinner treat. Butter and line a 20cm square tin. Melt the butter and chocolate in a large bowl over a pan of simmering water. Stir in the coffee, remove and cool slightly. Stir in the sugar, vanilla and a pinch of salt, then whisk in the eggs and beat until smooth. Add the flour and carry on beating until glossy. Set aside. In a bowl, beat the cream cheese until smooth, then stir in the sugar, egg and vanilla. Spoon the dark mixture into the tin, then add the cheese mixture and use a knife to create marbling. Bake for 30-40 minutes. Allow to cool on a rack, then cut into squares.